the theme is C.A.S (Clean and simple). I love making a card with that theme... this was right up my street! 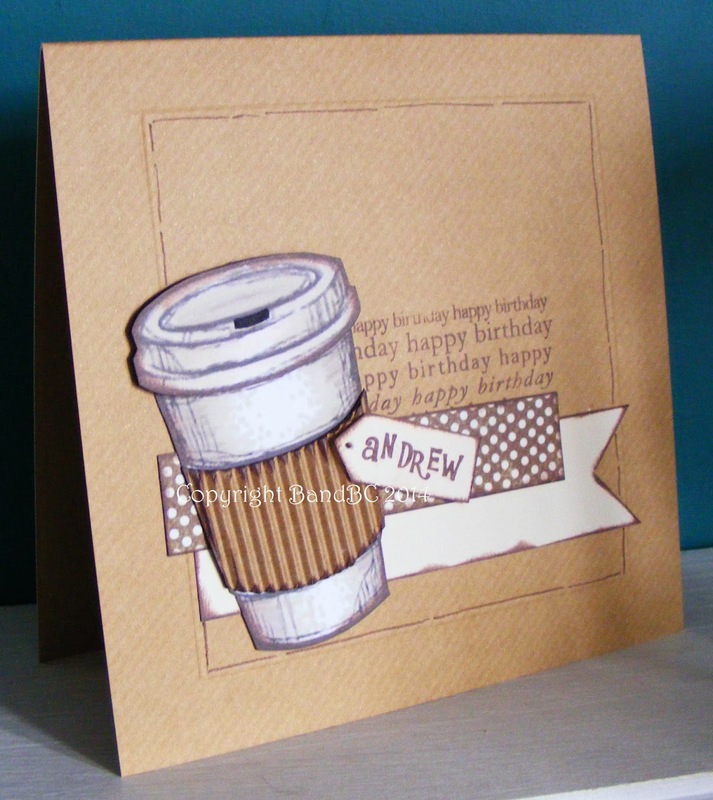 I used the "perfect blend" coffee cup and coloured it softly, with my promarkersand stamped a birthday sentiment, straight onto the card with a docrafts stamp. to bring the card together. Finally, I handcut the nametag, stamping with with my tiny docrafts alphabet stamps. SO clever to add the corrugated card as the card "holder". Love your card. Thank you for joining us at Digitally Sweet! I love how you did the 'holder'! That is very clever! Thanks for joining us at Digitally Sweet! LOVE LOVE LOVE! The corrugated card is the perfect touch! Thanks so mch for joining us at Digitally Sweet Challenges! I love this and the personalised tag is the finishing touch. Thanks for sharing with us at Ooh La La creations this time. Great card! Thank you for joining us at Digitally Sweet. This is fabulous! I adore how you made the holder. Thank you for sharing with us at The Kraft Journal. Please join us again next week! Brilliaant card Vic! I love the colour & the image! Such fantastic card and a brilliant design.The cup holder is a great feature.Thanks for joining us at Crafty Sentiments.Hope to see you again next week.